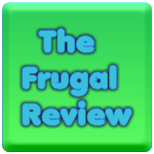 FRUGAL REVIEW: Freebies, Sweeps and Coupons! Free Mario Badescu Customized Skin Care Samples! Sam's Club - 50 Free 4x6 Prints!